The company stands tall among the Exporters & Suppliers of Used Conveyor Belts in Delhi. 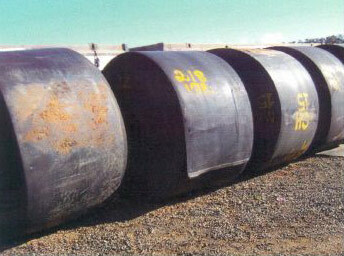 The large inventory of imported Used Conveyor Belts is a cost-effective way of keeping the conveyors running. The Used Conveyor Belts are inexpensive and can be a good alternative for the industrial purposes. The Used Conveyor Belt has been carefully inspected for flaws. The company can cut the Used Conveyor Belts to any size, length or shape using the high quality conveyor belting tools. The Used Conveyor Belt is used in Stone Crushers and offers many advantages in terms of cost-saving and performance.